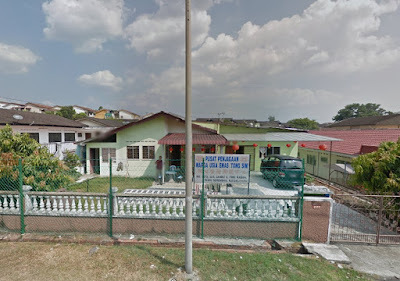 An old folks home in Taman Rasah, Seremban, is in danger of closing down due to a lack of funds. 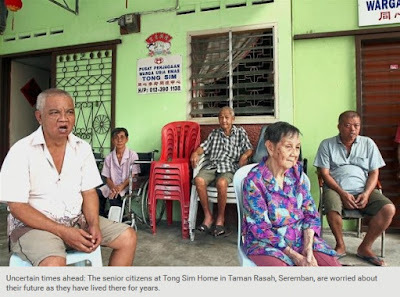 Tong Sim Home caretaker David Chong is raising the SOS as he can no longer afford to provide free services to the 13 residents there. “I wanted to close down the home but the residents wish to stay on,” he said. Those staying at the home are single and aged between 70 and 80. One of them, a 44-year-old man, is mentally retarded. Chong has tried his best to manage the home for the past 10 years, but increasing costs and lack of sufficient financial help have made it impossible to carry on by himself. The home has not charged its residents since 2006, while additional costs such as hospital treatments are mostly borne by donors. Chong said the only van they had to transport the residents to hospital had also broken down. “Volunteers are now helping me to feed the residents and drive them to hospitals for their appointments,” he added. Chong said he had planned to close the home by the end of this year until a friend told him to contact a businessman in Malacca named Chew Chert Fong, the chief executive officer of tourist attractions at The Shores Oceanarium and Toy Museum. Chew, 40, has responded positively. He plans to visit the home soon and round up his business friends to help. “I have tried so hard to get help and I almost gave up until Mr Chew came along,” he said. Meanwhile, Kotra Pharma, a pharmaceutical company based in Malacca, will be supplying vitamins and milk powder to the home’s residents.